Detailed anatomy and realistic perspective in the over 17,000 year-old paintings at the Cave of Lascaux (Grotte de Lascaux) make it the greatest discovered work of prehistoric art. In 1940, four teenagers from nearby Montignac happened upon a hole in the ground that led to a cave decorated with around 2,000 painted figures. The thousands of years of being closed to the air had preserved the rich colors of the mineral pigments in the animals, people, and arcane symbols. 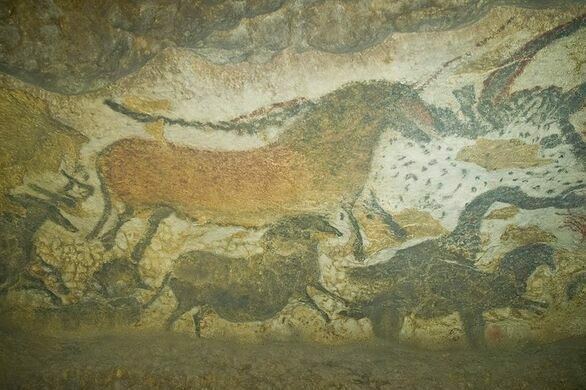 The Vézère valley cave system in the Dordogne department of France has the highest concentration of Upper Paleolithic sites in Western Europe. The scale of the painted figures and quality of the art make the Cave of Lascaux the most significant and impressive of the sites. Painted animals are not static, but in motion. Herds of horses, charging bulls, and the movement of felines, cattle, bison, and even a rhinoceros show a perspective in painting that would not reappear until the Renaissance. 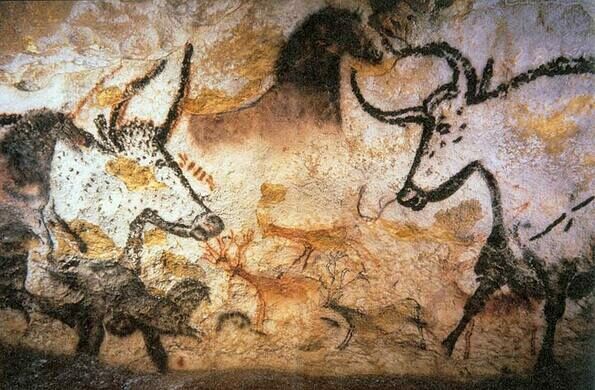 The most well known section of the cave is the Hall of the Bulls, which has four giant black bulls, including one that is the largest cave art animal ever found at 17 feet long. Interestingly, the animals are not what the people who painted them would have hunted. There are no reindeer, the most consumed animal of the time, and no plants or landscapes. 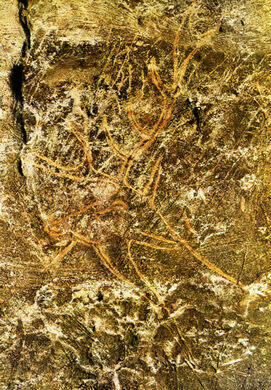 Some researchers have speculated that the paintings represent an ancient star map, with constellations hidden in the lines of the animals. The Cave of Lascaux was open to the public for many years until it was closed in 1963. The over 1,500 daily visitors were causing significant deterioration to the paintings. Mold and fungus continue to endanger the cave, and it is currently sealed to everyone, with only one person at a time allowed to enter and monitor its preservation. While it is unlikely that the cave will ever again be available to the public, a replica opened in 1983 called Lascaux II, which simulates the site with recreations of some of the art. There are also reproductions at the Musée d’Art Préhistorique in Le Thot, France. A bizarre sculpture garden in the south of France. A 14th century bridge built as a fortress, where the devil lurks on one of its towers. The largest underground church in Europe. A cave covered with bizarre stalactites of cloth.